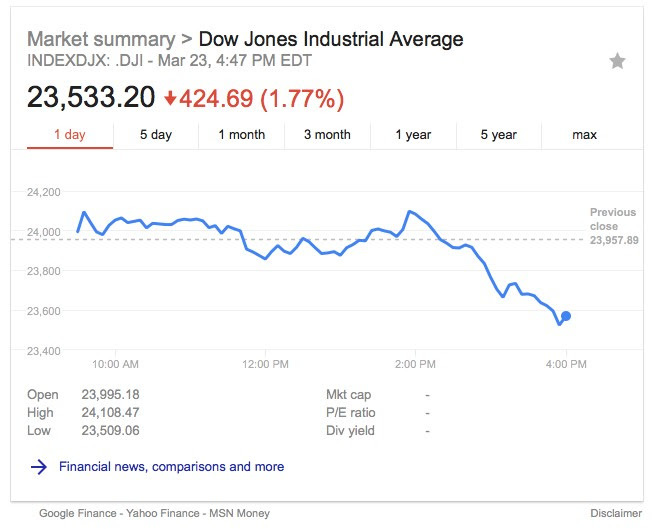 Wall Street is shocked, but it shouldn’t be: Tariffs targeting China should have been a given, and now the market’s tanking on trade war fears as if it just crept up on everyone, but Trump’s been very clear on this. Wall Street is known for being short-sighted, though, and allowing itself to get caught up in the euphoria of the day. And now the world’s biggest investors are losing hundreds of billions. The beneficiaries are gold and treasury yields, with gold rallying and treasury yields declining as investors seek safe havens. As we head into the market open Monday, the Friday statistics make almost any long-term investment plan look impossible. Disney, GE, Home Depot, 3M, Procter & Gamble, United Technologies, Verizon, Walmart and ExxonMobil all set new year-to-date lows Friday, with GE and Walmart in definitive bear market territory. The picture is so dire that only five of the big stocks have managed to stay out of correction, including Apple, Cisco, Intel, Nike and Visa. So, what are the world’s biggest investors doing? Since January, according to Bloomberg, the combined wealth of the 500 wealthiest people in the world has fallen by $436 billion, while the combined wealth of the top 5 has fallen by $34 billion. The biggest loser since the beginning of the year has been Mark Zuckerberg, of Facebook fame, who lost $7.71 billion since January, with $2.18 billion of that just last week. Even without trade war fears, it’s been a week of horrors for Facebook, and the bad news continues to compound. 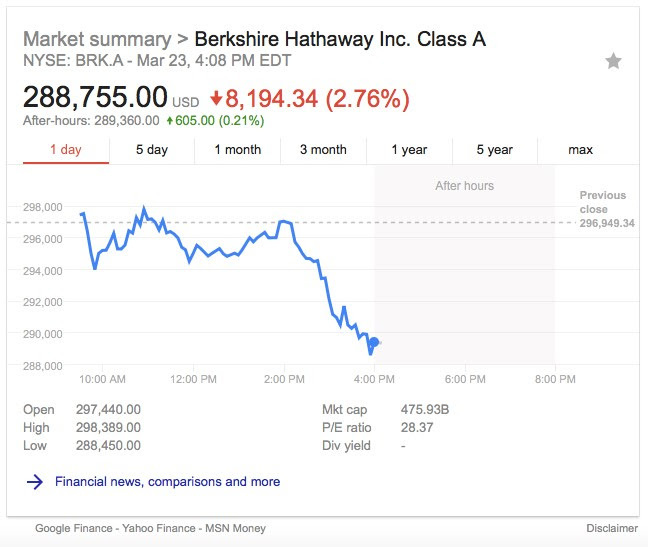 Warren Buffett—the king of long-term investing and buy and hold—has lost $2.7 billion since January, most of that last week as trade war fears consumed Wall Street. Speaking to CNBC earlier this month, when the market was plunging but Wall Street wasn’t yet in panic mode over trade war fears, Buffett advised investors to stay the course, buy and hold. Buffett—who was worth $87 billion until recently—is a long-term investor, and isn’t easily scared away by the politics or economics of the day. 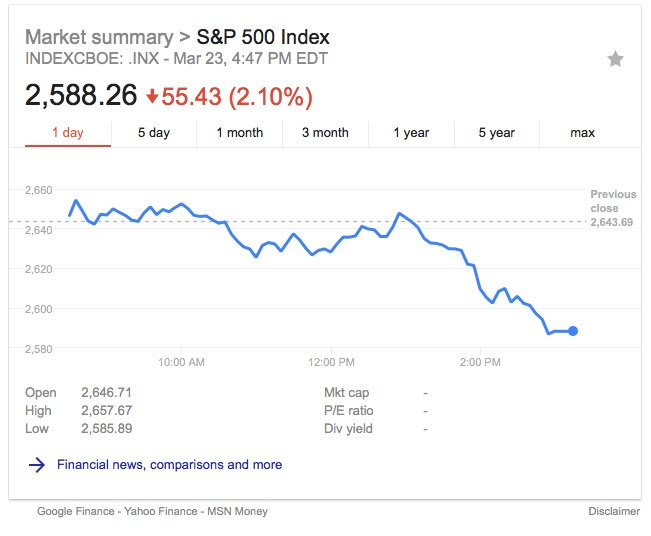 And it’s good that Buffett’s wasn’t watching because his Berkshire Hathaway is one of the biggest victims of Trump’s steel and aluminum tariffs. The conglomerate of over 60 companies includes a hefty portfolio of manufacturing and industrial holdings—all of which will be hit hard by tariffs. Amazon CEO Jeff Bezos, the richest man in the world, worth $125 billion even now, lost $3.83 billion last week, but year-to-date, he’s up $25.6 billion. He’s not panicking. Instead, he’s out taking his robotic dog for a walk, secure in the knowledge that he made $107 million a day last year. 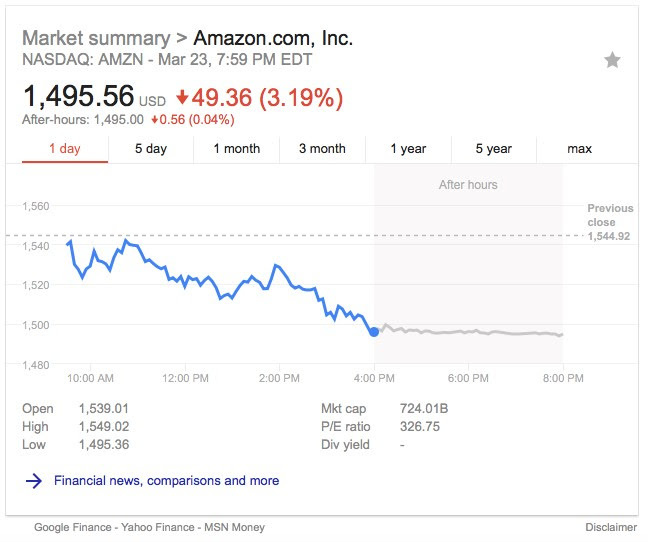 Amazon’s stock was down over $49 on the Friday close, but it’s still widely viewed as a raging bull; and while the rest of the world’s billionaires are losing hundreds of billions in wealth, Bezos appears to be immune to it all. 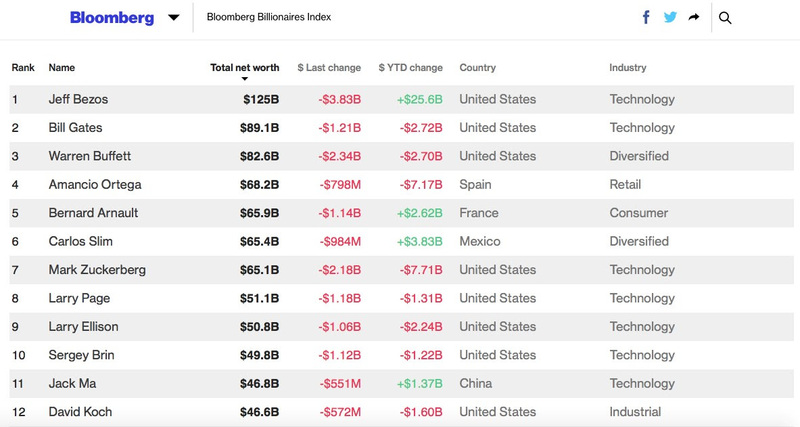 He’s not the only one who’s up year-to-date, but he’s up over $20 billion more than the few on the list who aren’t in the red.